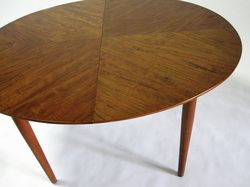 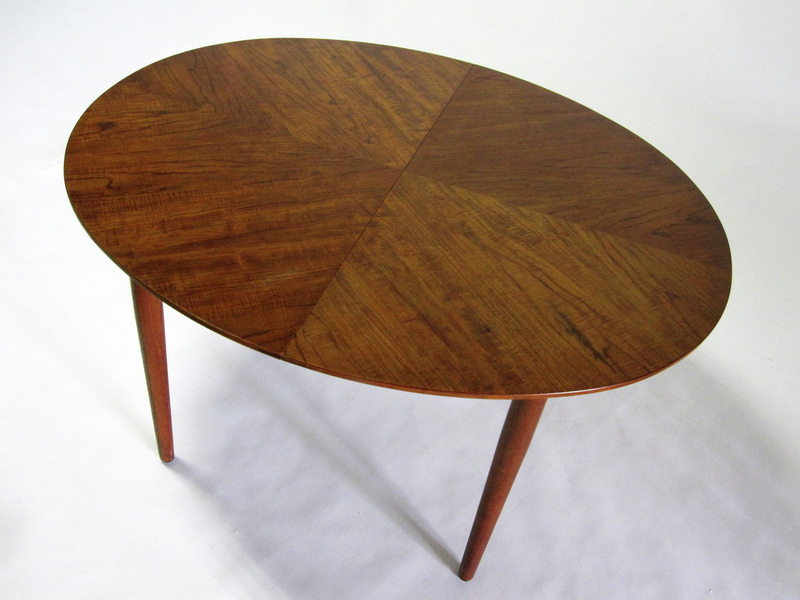 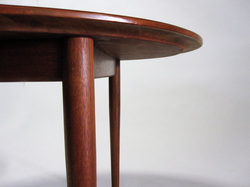 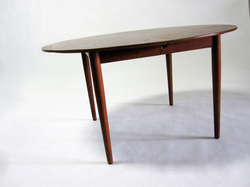 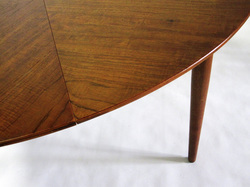 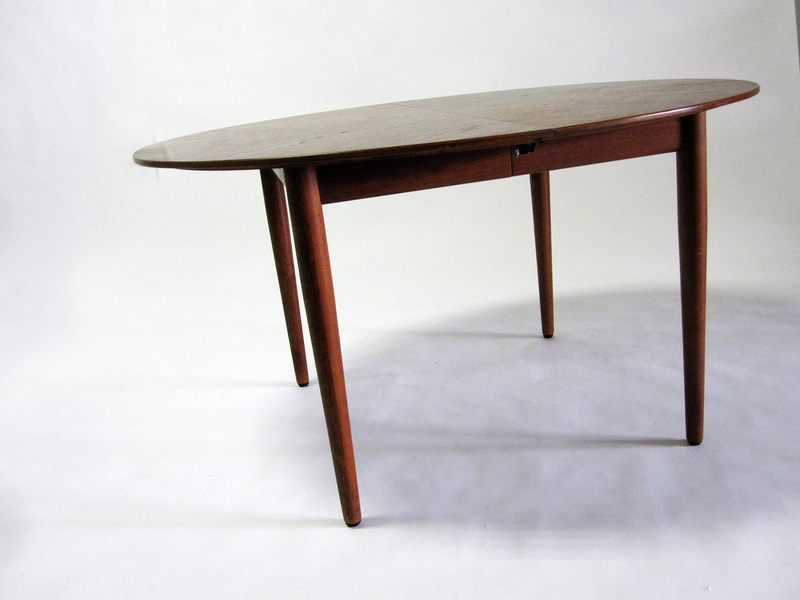 - Danish modern teak dining table designed by Finn Juhl for Baker furniture co.
- This is an oval dining table with a starburst walnut veneer pattern. 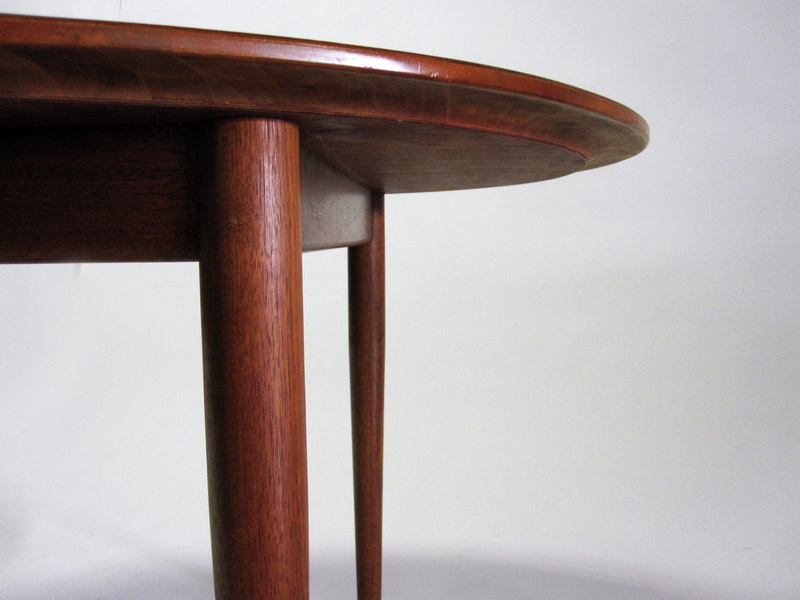 It features a sculptural beveled edge all up on four hardwood legs. 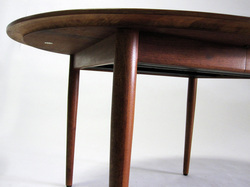 This is a great table and is in beautiful condition.